Our Conclusion: Is there Really a “Best Flight Search Engine”? Trying to get the best possible deal on a flight is important. You want to be able to use your money as effectively as you possibly can when it comes to travel. For this reason, it makes sense to take your time to see all of the available prices. In order to do this, you can make use of the best flight search engine options to get the necessary information and the most beneficial result. There are actually many different flight search engines out there that you can use. If you are new to the idea of searching for flights in this way, then you may be at a loss for where to turn. Where are the best flight search engines and how do you know which ones are worthwhile? 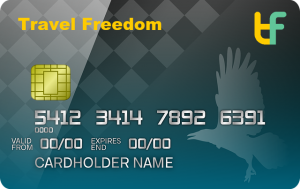 Travel Freedom is here to help you out by answering that very question. Today we will be taking a look at the best flight search engine options on the Internet. We will be going over several of the options that will give you the best results. This should help to make getting a fantastic deal on your flights easier than ever. You will be able to use these search engines any time that you have a trip coming up and will always be able to compare the various flight options available to you thoroughly. It should come as no surprise that Google Flights is among the most popular options available. People use Google Flights to find the best flights at the lowest prices. It has a very clean interface that looks appealing and will be easy to make use of. You will be able to search using the map and will see which travel dates have the lowest fares right away. This is one of the best options for people who want to have a simple, streamlined experience while searching for a flight. Simple does not mean that it is lacking in any way, either. You will be able to find the flight dates that will save you the most money in a short amount of time. The search-by-map function is very intuitive and you can enter either firm dates or a flexible period of time. Google Flights even allows you to track fares on dates that you have selected. You can receive updates via email so that you will know if anything has changed. This keeps you in the loop and makes it easy to jump on things if you see that a price has dropped. This is a very user-friendly flight search engine that comes highly recommended. CheapOAir has been helping people to find flights as conveniently as possible for a long time. This website allows you to look through all of the available options in a very streamlined way. You will be able to find the cheapest options for direct flights and it will also help you find flights by your desired airline. The charts at CheapOAir are very easy to read and you should have no trouble making use of this website. This website is also good at providing you with the necessary information. You will be able to take a look at things such as baggage fees and fare rules. Certain US airlines will also give you access to a seating chart so that you can see the plane layout. A seat-selection map will be available for some US carriers. It mostly prioritizes nonstop prices over the ones that have stops. 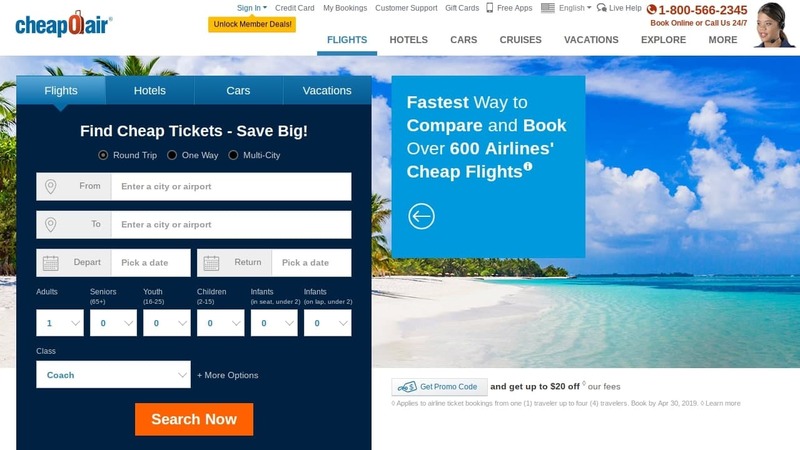 Even so, it does give you many options to customize how you are searching for flights. The booking fees of this site are fairly low at only $35 per ticket. You should be able to get a very good deal on a flight when you make good use of this search engine. 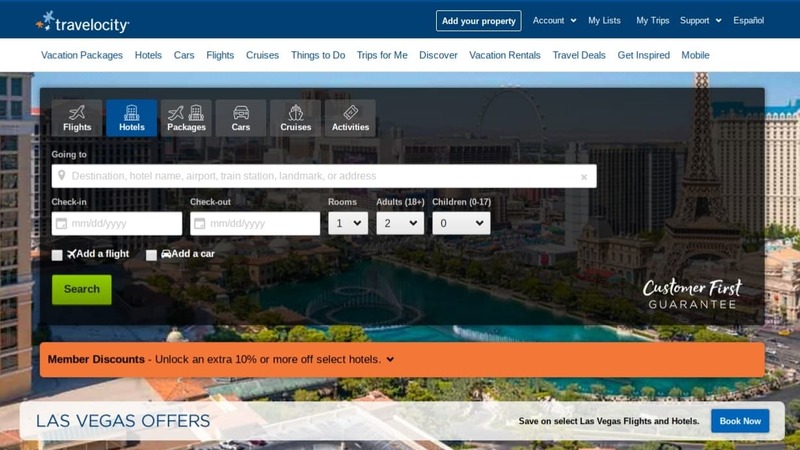 One Travel is a flight search engine that is starting to gain in popularity. It actually has a very similar interface when you compare it to Google Flights and this is not a bad thing at all. This website is very easy to read and you should not have any trouble finding the information that you are looking for. You will be able to search this website to quickly find the least expensive options if that is what you are looking for. Interestingly, this site allows you to enter your departure date on a calendar system and will then bring up prices automatically. This allows you to get a quick glance at what to expect in case you want to search for other dates that may provide you with a lower price overall. 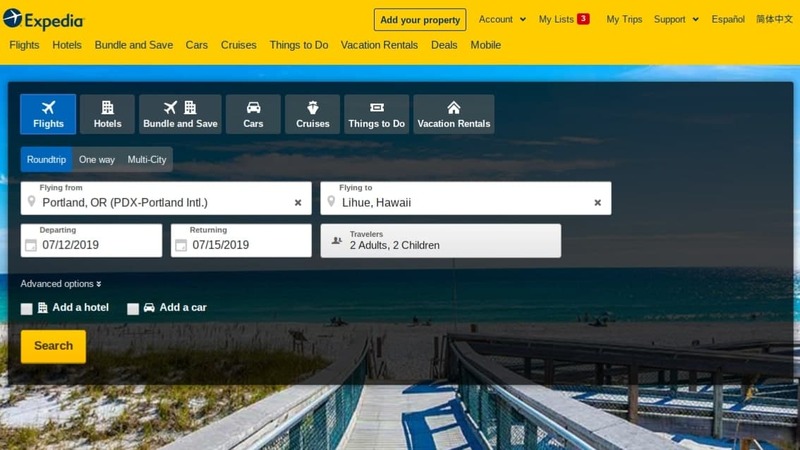 It allows you to save time by finding the least expensive travel dates more quickly, making the overall experience that much more convenient. 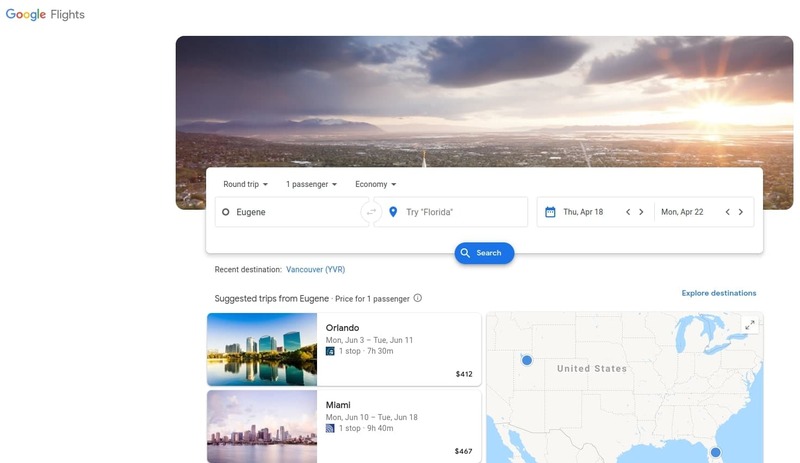 You will need to pay a $35 travel service fee per ticket when you use this flight search engine, though. Overall, this is not too unusual for these types of websites. One potential problem is that sometimes this search engine seems to show flights that include at least one stop toward the top of the search results. If you prefer nonstop flights, then this may be a slight annoyance as you will need to scroll and look a little deeper. Kayak is one name that you have almost certainly heard of. This website has been helping people save money on their travel expenses since the mid-2000s. It offers users a powerful search engine that will allow you to see all of the available flights and fares. This is still among the most powerful flight search engines available and is made to be as easy to use as possible. You can have a very convenient experience when using the Kayak search engine. It allows you to program fare alerts so that you can track prices on your desired flights or flight dates over time. It is easy to use this system and it always keeps you in the loop when any changes occur. This is a simple way to get a great deal on a flight and you will always find many options to consider. One potential negative of this site is that it is loaded with various ads. It does not really hinder your experience in any way but it may bother some people. If you prefer a flight search engine with no ads, then Google Flights offers similar functionality. Otherwise, this site has traditionally saved people a lot of money on airfare over the years. It boasts having a “hacker fares” system that can piece together various one-way flight tickets. It can allow you to save money if you are willing to take the extra time to get where you want to be. When you combine unique features such as this with its many filter options and the robust set of tools, you can see how good this search engine is. This is one of the best options for most people who want to save money on airfare. Momondo is an interesting flight search engine option that some people are going to be able to use very well. Momondo does a very good job of searching a wide swath of different available flights on a given date. It actually manages to catch various options that certain other flight search engines regularly miss. For this reason, it has been able to save people money on flights quite often. The problems with Momondo start to pop up due to how it is set up. Using the search engine is easy enough but it does not always give you the most information right away. Whereas some flight search engines such as CheapOAir give you many transparent pieces of information about the flight, Momondo does not do this. Instead, you often have to click through on a flight to see things such as how much it costs, what airline the ticket belongs to, and more. This all probably sounds really bad and it is kind of an annoyance. Regardless, Momondo has a lot of positive things to offer the flight search engine debate. It shows results from Southwest Airlines, which many flight search engines do not do. Southwest Airlines may not always be listed but it seems to search a wider variety of different flights than many of its contemporaries. 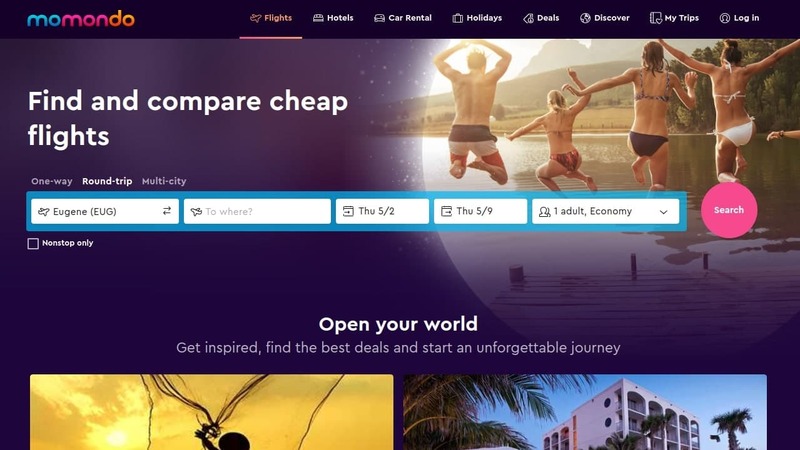 Momondo also searches various fares from smaller OTAs so you are likely to get a good deal when you use this search engine to its full potential. If this search engine could make a few changes to become more user-friendly, then it would truly stand out as one of the very top options. As it stands, this flight search engine is still good for certain purposes. It deserves a spot on the list because it offers some extra benefits by being able to catch flights that other search engines seem to miss. Depending on how you feel about the lack of transparency, you may be better off seeking out one of the more tried-and-true flight search engines. Travelzoo is definitely a little bit different from the flight search engines that have been listed so far. What makes this one stand out is that it is more focused on helping you to search for broad timelines rather than specific dates. For example, if you want to travel to Hawaii in the autumn, you will be able to search that period of time to see the available deals. It allows you to search by month and season rather than searching specifically for one date that you had in mind. This could either be a nuisance or a very good thing, depending on your perspective. If you want to be able to save a lot of money, then this could really come in handy. Travelzoo lets you benefit from your ability to be flexible on your dates. It has the potential to help you find very cost-effective business class flights and you can even find deals on multi-city itineraries that can help make your vacation a reality. Of course, this is not going to work out quite so well for those who have very specific plans in mind. 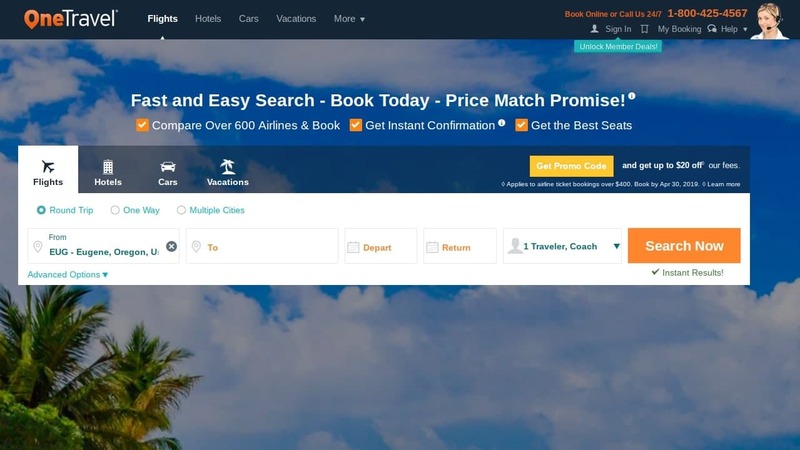 If you are trying to travel to a specific place for your mother’s birthday, then you may want to rely on a more traditional flight search engine. This one is worth keeping in mind when you want to reap the rewards of deep discounts and you are capable of adjusting your schedule accordingly. Look into it if you think that you can take advantage of how this search engine works. BookIt is another great option to consider when you want to be able to have an easy experience. Unlike some of the other flight search engines on this list, the BookIt interface is very clean and simple to read. This is going to show you results for your searched flight dates on a chart. The chart can be read easily and all of the important information is going to be right there in front of you. You will be able to see which flight has the best price as it will be very clearly marked with a “best price” logo. Other important information such as how many stops a flight has will also be clearly visible. It makes it very simple to see which options are going to be appealing to you at a glance. Many people are going to prefer this chart to the endless scrolling that some other flight search engines will offer. There are some potential negatives that may make you think twice about using this as your primary flight search engine. It has booking fees and it is not always transparent about how much these fees are going to cost you. Even so, this is among the easiest ways to compare flights. 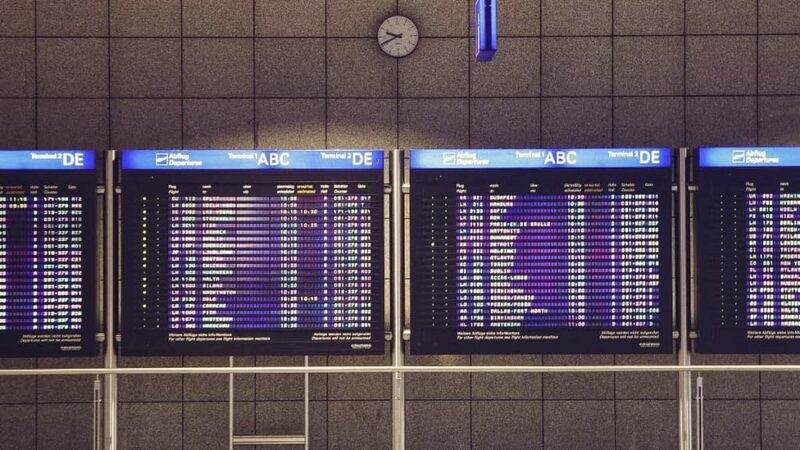 You do not have to keep scrolling and trying to keep track of the best deals and shortest layover times when all of that information is on the chart right in front of you. TripAdvisor Flights is an offshoot of the popular TripAdvisor hotel reviews site. 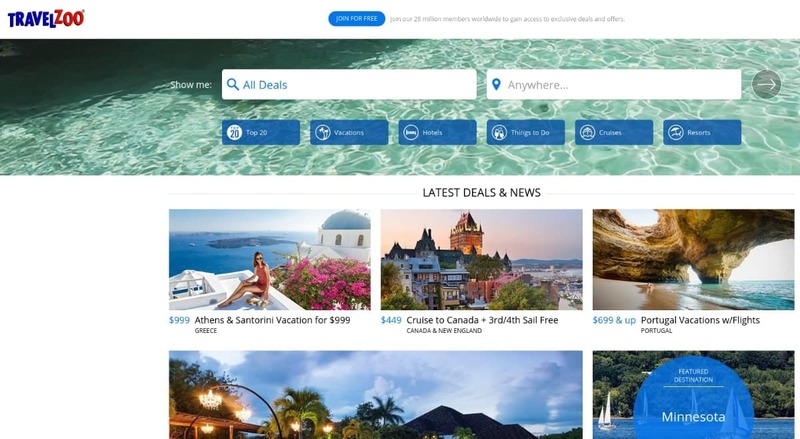 They have created a convenient flight search engine tool that works very well to help users find good deals. You will be able to get many results when using this search engine and it even pops up other flight search engines that will allow you to compare things with a simple click. It is a very transparent site that is easy to use. As an added benefit, you will also be able to easily access reviews of certain airlines and their fares. There are many user reviews of the various airlines that you will be searching. It can give you some information on what to expect if you are thinking of flying with an unfamiliar airline. If you like being able to empower yourself with information ahead of booking a flight, then this should come in handy. It can help you to avoid booking a flight with an airline that will not provide you with an optimal experience. This flight search engine also has the traditional convenient tools that you should expect. You can easily check boxes to make sure that the results will prioritize non-stop flights. It makes it easy to find the information that you need and you should be able to use this search engine to its full potential without any trouble. Expedia is a website that is among the most popular options for finding flights. 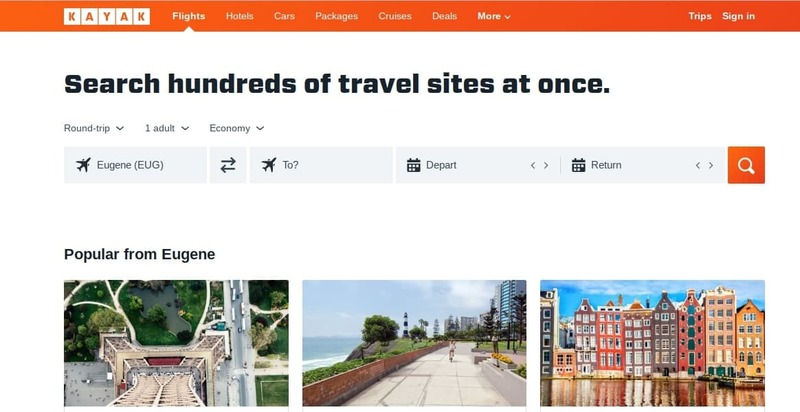 Users can use this search engine to find flights and will be able to also book hotels or rental cars from the same site. Essentially, this is a one-stop solution for everything that you may need for an upcoming trip. Some people may find it annoying that the site pushes hotels when you just want to look for flights, though. One good benefit of using Expedia is that it does not charge you any booking fees when you book a round-trip flight with the same airline. This helps to keep your costs a little bit lower and will certainly come in handy. It also allows you to easily see plenty of information about your flight before checking out. You will be able to easily gain access to baggage rules, seating charts, information on cancellations, and much more. This flight search engine has a good interface that is simple enough to use. You can use it to help find a good deal on a flight and that is what counts. It is transparent about any fees and allows you to avoid fees on round-trip flights booked with one airline. So long as you use this option properly, it should be easy to find the best deal on your desired flight. Just about everyone is familiar with Travelocity due to their marketing presence. What many people are not aware of is the fact the Travelocity and Expedia are actually the same thing. 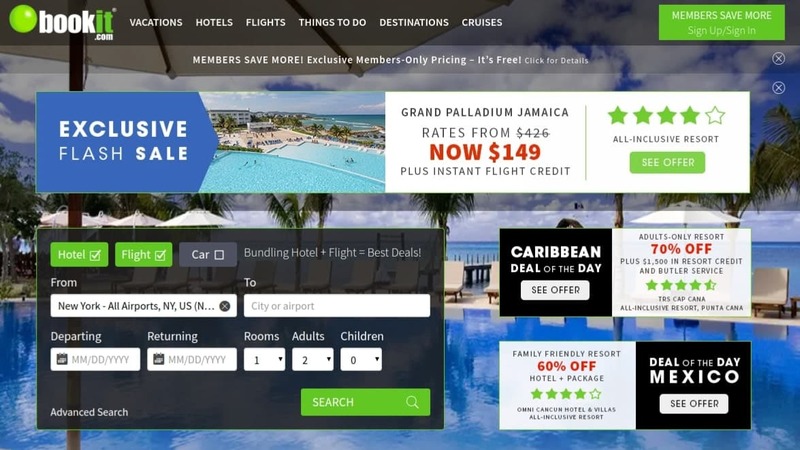 These two sites are affiliated with Expedia owning Travelocity. The only real difference between the two is that the colors of the websites are different. There are some minor differences in how the site is organized too. For instance, Travelocity does not allow users to search for flexible dates. Expedia does have this option. 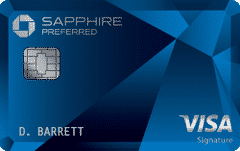 Overall, you will have a very similar experience when using both Travelocity and Expedia. 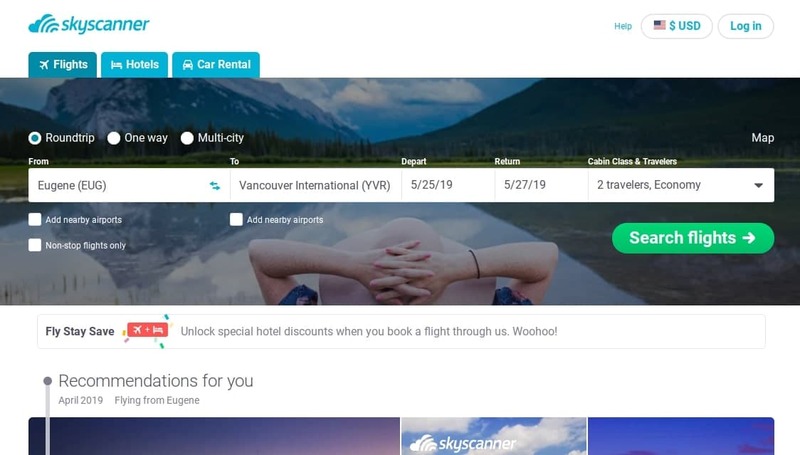 Skyscanner is a lesser-known flight search engine but often has better prices. They’re used by over 80 million travelers monthly to find not only flights, but hotels and rental cars as well. They also have an app for searching for flights on your cell phone. Skyscanner also allows for multi-city searches for those who are looking for a stopover or open jaw flight. You can find any flight you’re looking for on Skyscanner. 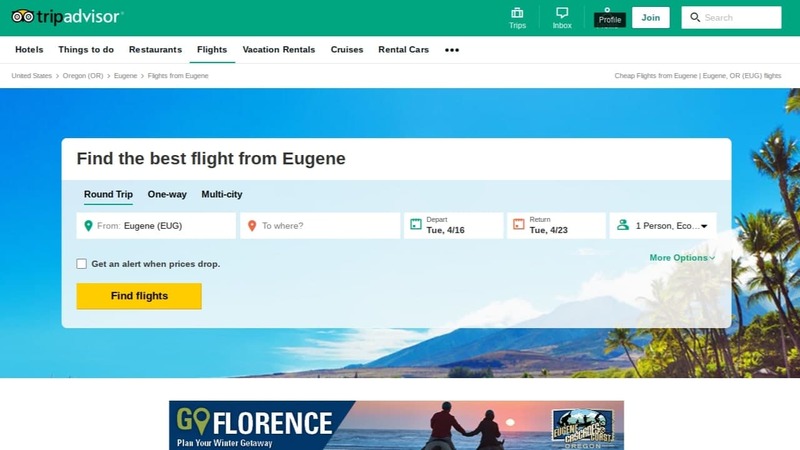 As a lesser-known entity, Skyscanner is one of the best flight search engines. It’s capable of searching whatever type of flight you’re looking for and comes back with some of the best results. Each flight search is going to be unique and has differing results as to which is the best flight search engine, but we tested them out with an upcoming trip anyway. We’d like to visit Vancouver Canada during the Memorial Day holiday weekend this year. Let’s do a flight search on each of the best flight search engines to see what the results are. For each, we will check only for the best price available for 2 adults to fly from PDX to YVR on May 25-27. Keep in mind that the best price is not always the best option. The cheapest flight may cost slightly less, but have a much longer trip time. As you can see, the results vary by flight search engine. The best flight search engine, in this instance, is OneTravel. When searching for a flight, I’d suggest comparing multiple flight search engines before buying. A few of the best flight search engines above allow you to compare prices between each other which makes this simple. Another place to search is through Costco Travel if you’re a member. If you use any of the flight search engines mentioned above, you should be able to have a good experience. They all have their own quirks and benefits. Only Travelocity and Expedia are exceedingly similar (since they have the same ownership). Otherwise, it may be helpful to see what each of these sites has to offer you before pulling the trigger on your purchase. Finding a great deal on your next flight will not be hard at all. Just use these flight search engines properly and you’ll be able to save the most money possible. It will keep more of your hard-earned money in your wallet and you’ll have more money to do things on your vacation. 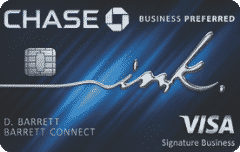 Capital One Savor: Who's the King of Cash Back Cards?